"Are you tired of Down Time and having to Purchase Backup Inserter Parts That Remain on Your Shelves Collecting Dust?" "Replacing Parts Unnecessarily to Diagnose an Electronic or Mechanical Failure?" "Depending on an Outside Repair Source?" "Paying $$$$'s for Phone Support?" "Being Held Hostage, Because Your Inserter System Has a Special Software or PLC Program?" If you answered "YES" to any of these questions... please Read Further! 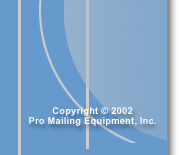 Pro Mailing Equipment Inc. stocks the "Best" reconditioned inserters available. We Have one of the largest inventories of inserters in the USA. 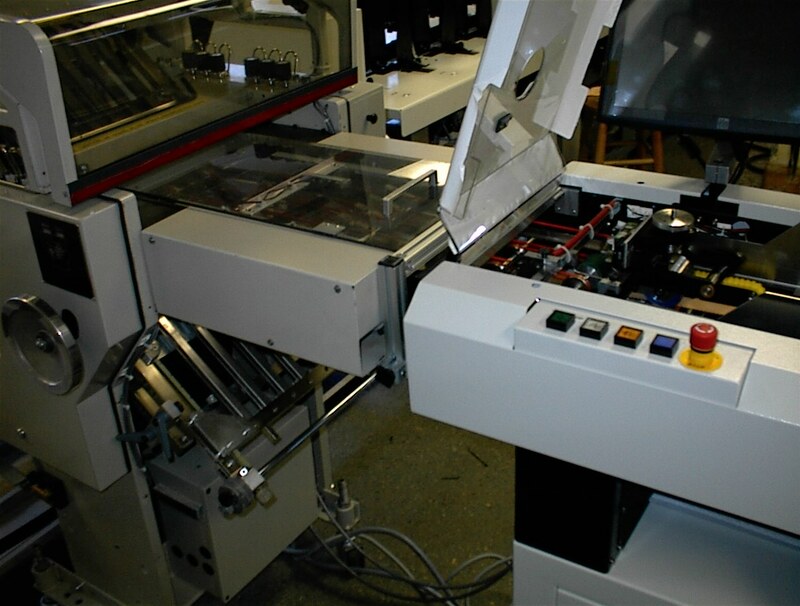 And, we at Pro Mailing have many years of research and development involved to make our System Machines and Straight Machines the most easily maintained and repairable units in the Business. Our inserters are designed around the operator with easy maintenance in mind. Pro Mailing will support and train your employees, on site or at our facility, to operate and maintain your equipment without "Down Time Issues" or costly repair bill. Pro Mailing now has the "Total Solution" for customers who have continuous feed machines, old "AIM" systems who would like to have "Cut Sheet" without the cost to update software and more. Pro Mailing now can add this "New System" to your existing MBO folder unit or supply a complete solution using a MBO reconditioned folder and our new feeder system. This system is the newest in sheet feeder technology offering OMR reading and 3 of 9 - 2D reading, select feed, and more. Affordable updating with NO more electronic boards, PLC programs, software changes by using the "Straight Forward System". See our video and call Pro Mailing today with your intelligent application needs. Great for your “Document Solutions”.. Available with OMR -3 of 9 – 2D ..
And Priced at the Lowest Price ever!!! 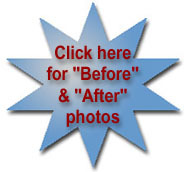 $84,900.00 with OMR reader!..Call today! New Frontend for your existing MBO continuous machine or Your old Aims system! 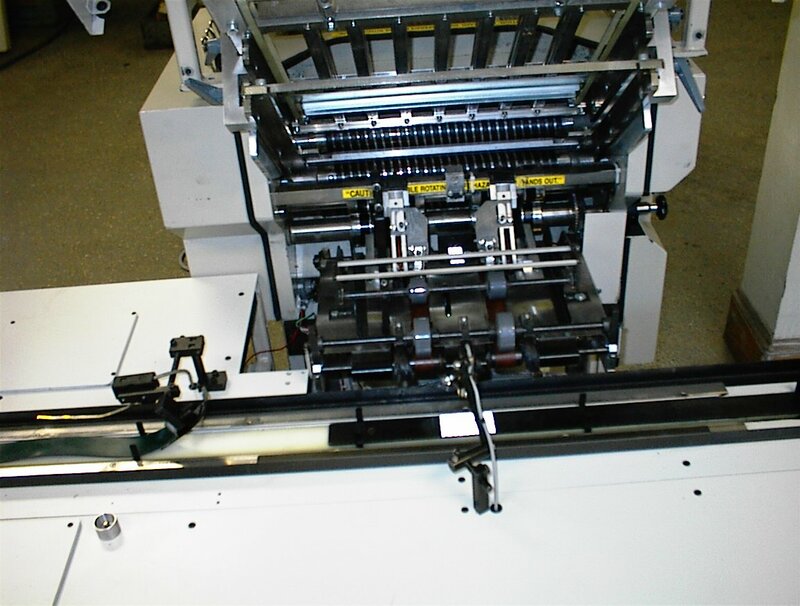 We can supply the folder or use yours, Take your Older Aim units and make them a "New" straight forward sheetfed unit, with OMR or 3 of 9 readers. 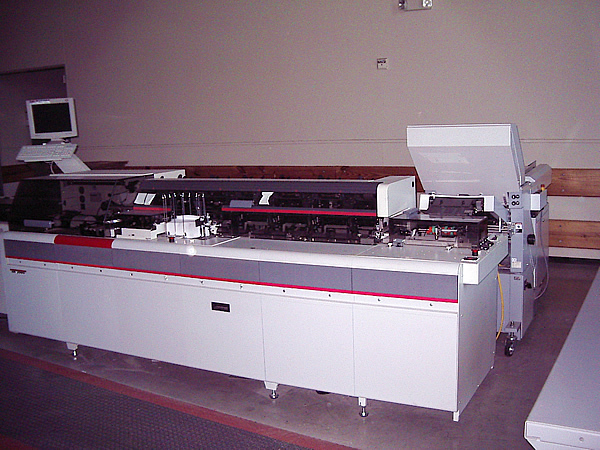 Save $$$$$$ and let Pro Mailing Equipment convert your Older machines into "State of the Art" running units!! The premier folder of the mail industry, with thousands of installations worldwide, offers an economical and versatile solution to personalizing and inserting mail. The highest quality intelligent feeder/folder system in the mail industry. Utilizing a heavy-duty folder with poly/steel rollers, the 438 is designed for maximum productivity, 24-hour, seven day a week production. Designed to intelligently accumulate flat packs for mail production. The FPF 35 reads and collates up to 35, 20 lb. flat sheets at throughputs up to 40,000 sheets per hour, depending on set size and inserter cycle speed. The system has an advanced touch screen for operator programmable line code and barcode job set-up and recall. Generates highly efficient mail communications by eliminating the use of envelopes and specially prepared forms. This high-speed, versatile self-mailer system offers a cost saving solution for the processing of letters, statements, bills, coupons and many other applications. 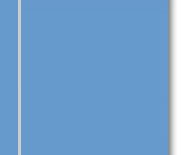 The OS-8 INS No Envelope Mailer is a highly efficient and cost saving solution for generating mail communications. This high-speed, versatile self-mailer system offers a cost saving solution for the processing of letters, statements, bills, coupons and many other applications. 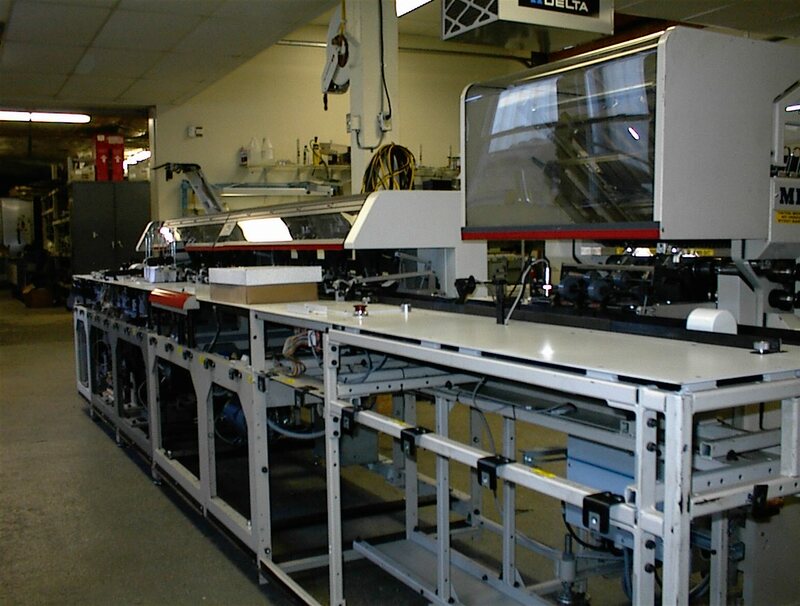 The fastest pressure seal self-mailer system on the market, processing up to 40,000 8.5" x 11" documents per hour. The PS800 is modular in design with a Mathias Bäuerle CAS computer-controlled folding system, which enables it to run as a pressure seal unit or as a conventional folder. A generation ahead of its competitors. The first folder ever to have fully automated settings for fold plates, fold roller gaps (patented design), alignment rails and delivery rollers. The first generation folder with automated fold plate settings. By simply pushing a button, the most important settings are done automatically. There is no measuring of fold lengths, no calculating of stop positions, no need to remove fold plates and insert deflectors and no special know-how about the correct fold roller pressures. Designed for smaller format high volume production is highly versatile with a wide variety of attachments such as options for a top-loading, bottom-feeder or pile feeder, and delivery options for miniature/pharmaceutical folding or standard folding. Highly versatile, designed to handle output from black and white or color ink jet printers, laser and digital printers as well as conventional offset or other printing machines. 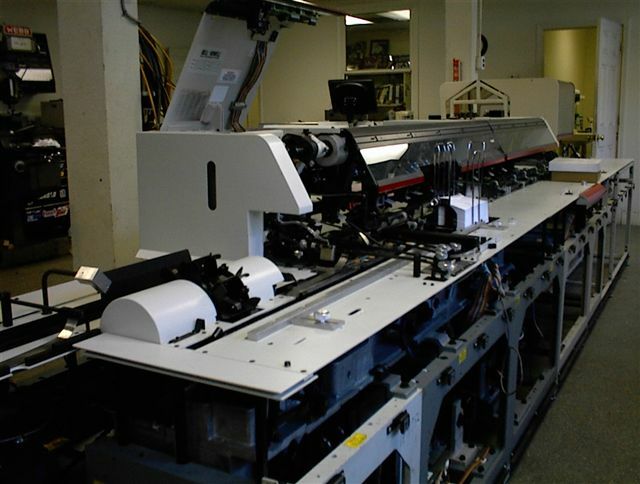 Designed for high volume mail production from simple leaflets to creative mailings with options for accumulating, gate folding, code reading, fold gluing, tabbing, perforation, slitting, and scoring. Designed for high volume mail production which requires a variable number of sheets, coupons, statements, checks or inserts in various sizes. Designed for high volume mail production. This reliable and rugged system allows for an operator to switch from one fold type to another in just seconds - not hours and maintain a large output capacity. Designed for smaller format folding is ideal for quick-print and in-house print shops. Operation is surprisingly simple and fast. The CAS 35 is equipped with two fold plates for production of standard parallel folds. 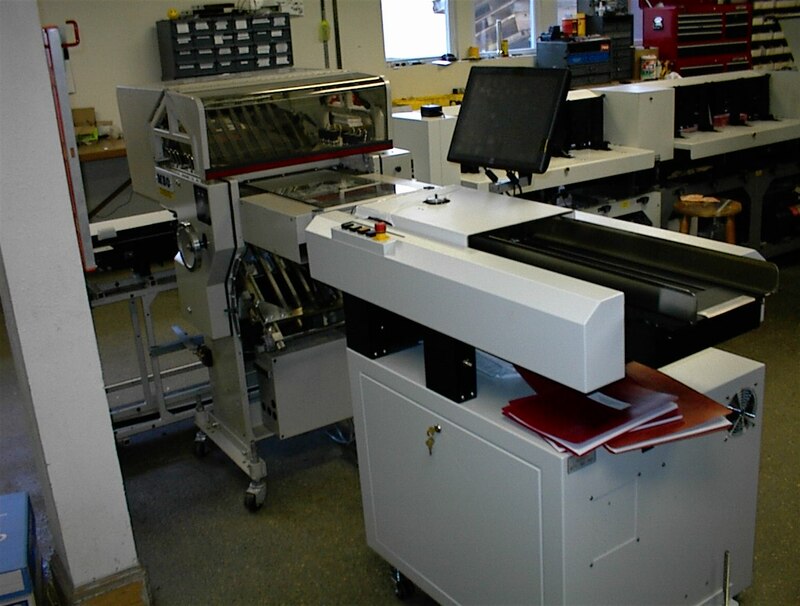 The latest in cutter technology, multi-programmable (99 jobs) and highly versatile, it can run off-line or on-line with a printer. High performance cutter designed for finishing on demand applications. The vertical blade cartridge and side/center trimming cartridges are interchangeable at operator level making it the most efficient and productive cutter available. Sure-feed's NEW Product Attaching System (P.A.S.) will astound you with its speed and accurate tolerance range! The P.A.S. reaches unmatched speeds of 25,000+ pieces per hour! With a wide range of product sizes, plenty of options and fully adjustable paper & card magazines the P.A.S. gives you the flexibility you need to fulfill the most demanding product applications.